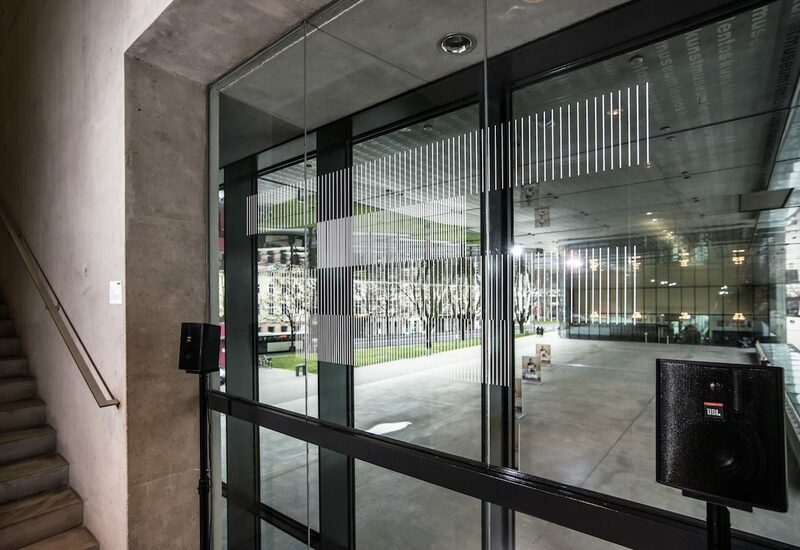 Various auditory characteristics of the Lentos Art Museum served as the starting-point for a composition which focuses on reverberation and acoustic reflection. The artist collective FAXEN invited percussionists to perform within 4 different rooms of the museum, and to adjust their tempo in response to each room’s particular reverberation time. These live-performances were recorded to form a composition that peaks in a synchronised drum stroke, which links the four selected rooms for a brief moment. The composition is presented as a multi- channel setup and accompanied by a graphic score.